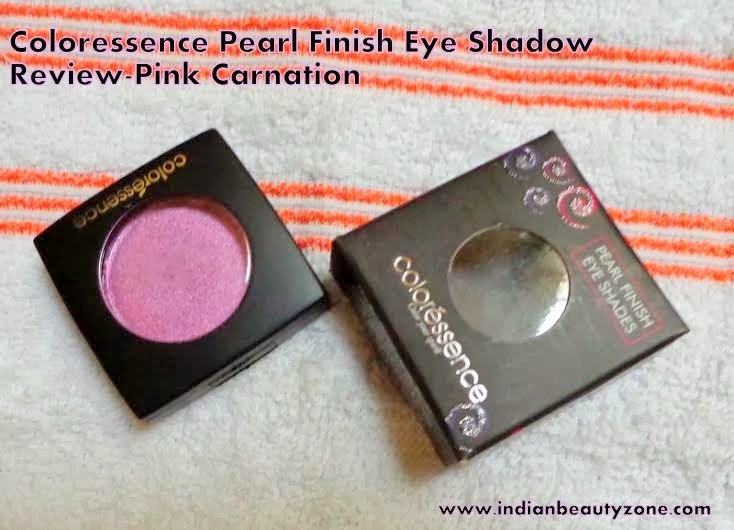 It gives pearly finish & satin smooth brilliance and base to the eyes. It can be used with brush directly in the eyes socket area or upper eyelid area or use with wet brush for long stay of color. Terminalia belerica extract, soyabean oil with pearl finish effect. Lets discuss about its packaging,texture ,finish ,etc.. In terms of packaging it is very simple(somehow boring type). 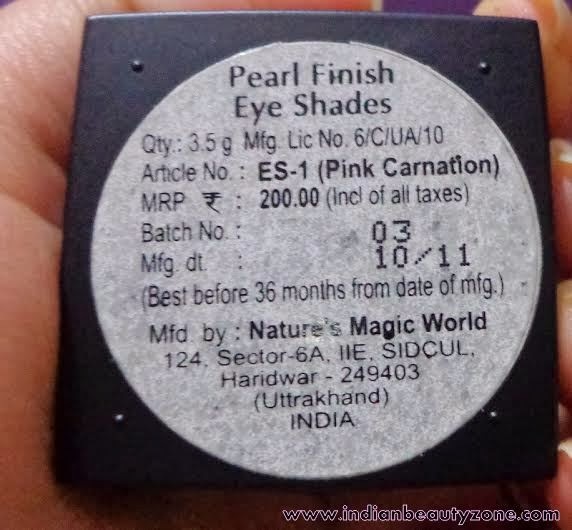 The eye shadow comes in rectangular plastic case which is black in color. 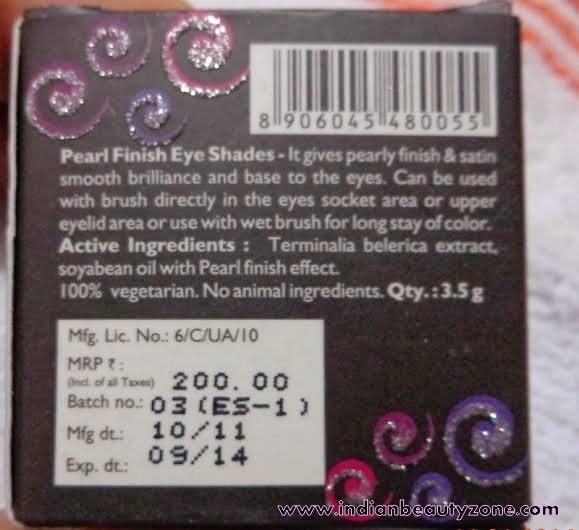 The eye shadow case also comes again inside a black cardboard box which contains all necessary information . 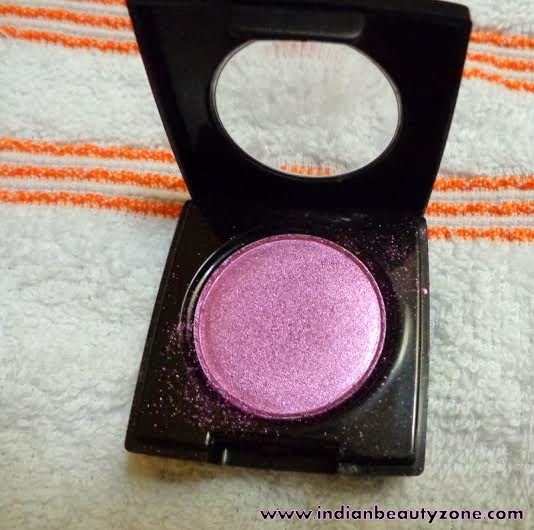 The shade of this eye shadow is not a perfect pink as its name defines..It is a purple toned pink shade with lots of fine shimmers which makes it pearly finish..:p .
Texture wise it is very creamy type and glides well on eye lids . 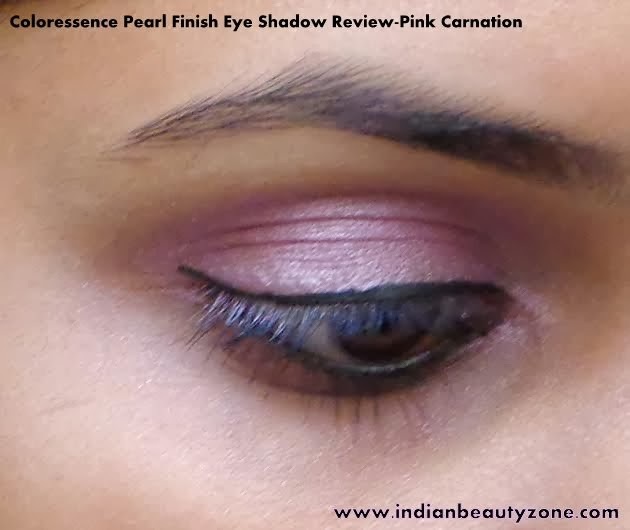 A small quantity blends well on the whole eyelid within a minute. 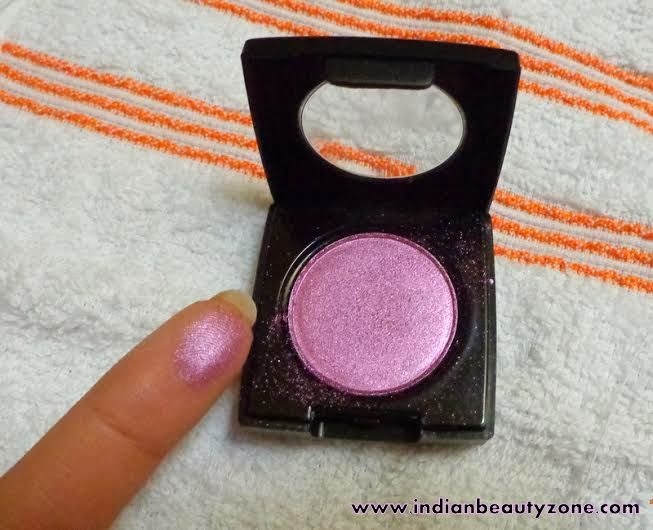 As it has lots of shimmer, you might hesitate to wear it on regular basis..It may look dramatic sometime…hehe ..:p . It stays for 3-4 hours on my eye lids and I think it is not a bad timing at all. I guess it can be a nice option for any night party or function ..(please note, I am very poor on this type of guessing…) ..
Let’s move towards its pros and cons.. 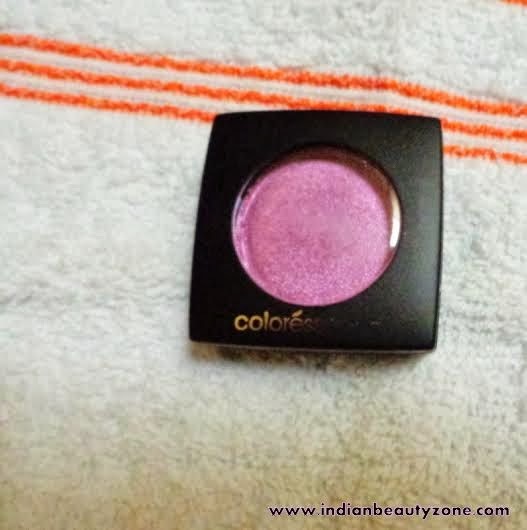 If you are looking for a affordable good quality eye shadow then can try this range.. For beginners like me this is a worth try I think..